Reliable versatile, high performance power – these features mean Odyssey® batteries keep the action going at full throttle, time after time. 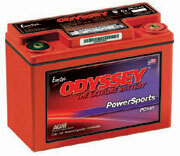 If your passion is land, water or snow sports, make sure you choose Odyssey® – the extreme battery for extreme sports. 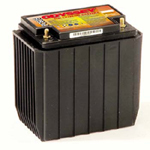 CLICK HERE to lookup the correct battery for your Motorcycle, ATV, Watercraft or Snowmobile.